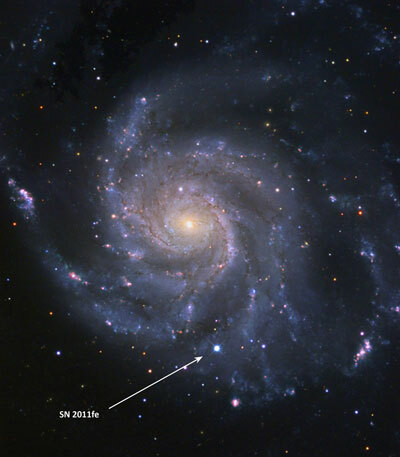 A study using a unique new instrument on the world's largest optical telescope has revealed the likely origins of especially bright supernovae that astronomers use as easy-to-spot "mile markers" to measure the expansion and acceleration of the universe. 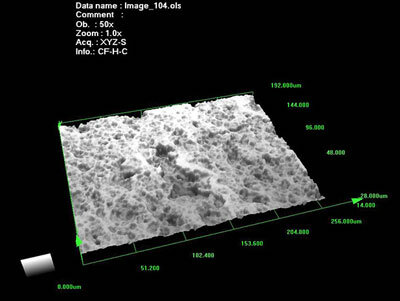 Outgassing - the physical process that creates that oh-so-alluring new car smell - isn't healthy for humans and, as it turns out, not particularly wholesome for sensitive satellite instruments, either. But a team of NASA engineers has created a new way to protect those instruments from its ill effects. Researchers at the Tokyo Institute of Technology, NASA's Johnson Space Center, Lunar Planetary Institute, and Carnegie Institute of Washington report on geochemical studies that help towards settling the controversy that surrounds the origin, abundance, and history of water on Mars. DARPA's ground-based Space Surveillance Telescope may soon head to Australia. An agreement reached this week with Australia's Department of Defense will allow DARPA to take the 180,000 lb. 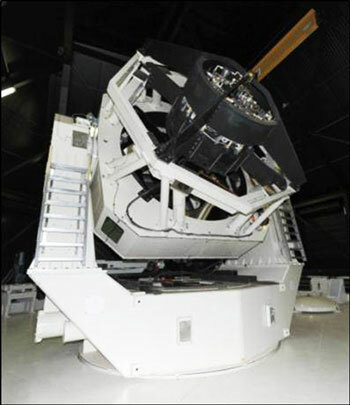 three-mirror Mersenne-Schmidt telescope to Australia to track and catalogues space debris and objects unique to the space above that region of the world that could threaten DoD satellites. 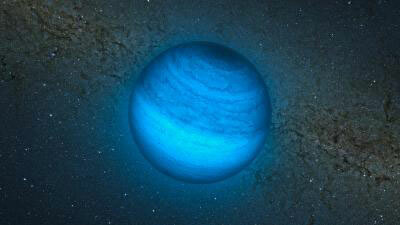 A discovery in the Andromeda constellation sheds new light on the birth of planets. The gas giant has roughly 13 times the mass of Jupiter, while the parent star has 2.5 times the mass of the Sun. This planet probably formed in a similar way to ordinary, lower-mass planets: in a 'protoplanetary disk' of gas and dust. 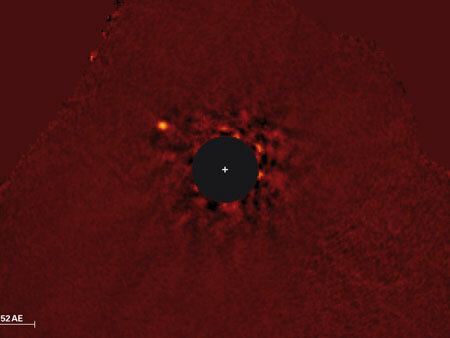 This makes the planet an important test case for current models of how planets are born. 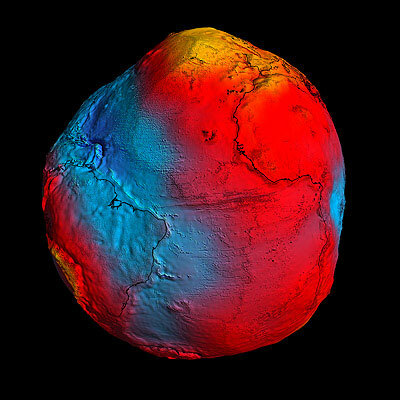 In space research, the Finnish Meteorological Institute specialises in large-scale computer simulations modelling the behaviour of particles and electromagnetic fields in the vicinity of Earth and other bodies in the solar system. Simulation models are used, for example, to study processes involved in the origin of auroras. 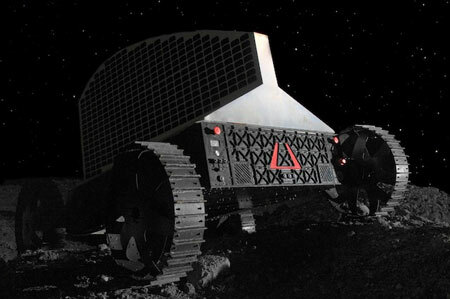 The American space program stands at the cusp of a "water rush" to the moon by several companies developing robotic prospectors for launch in the near future, according to a NASA scientist considering how to acquire and use water ice believed to be at the poles of the moon. Near surface water has shaped the landscape of Mars. Areas of the planet's northern and southern hemispheres have alternately thawed and frozen in recent geologic history and comprise striking similarities to the landscape of Svalbard. This suggests that water has played a more extensive role than previously envisioned, and that environments capable of sustaining life could exist. The 2012 Leonid meteor shower peaks on the night/morning of Nov. 16-17. If forecasters are correct, the shower should produce a mild but pretty sprinkling of meteors over North America, followed by a more intense outburst over Asia. The new moon will set the stage for what could be one of the best Leonid showers in years. 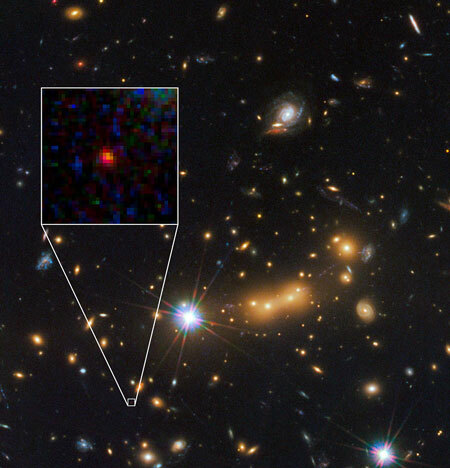 By combining the power of the NASA/ESA Hubble Space Telescope, NASA's Spitzer Space Telescope and one of nature's zoom lenses, astronomers have found what is probably the most distant galaxy yet seen in the Universe. 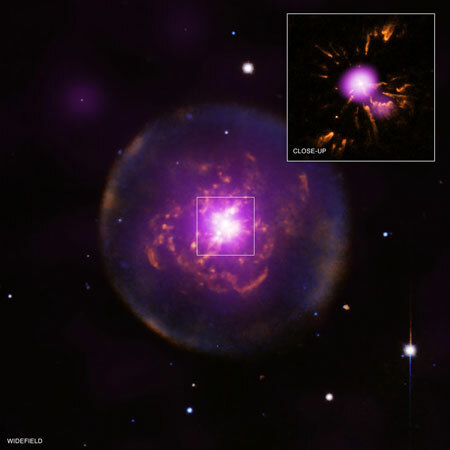 The object offers a peek back into a time when the Universe was only 3 percent of its present age of 13.7 billion years. Astronomers have found evidence for a dying Sun-like star coming briefly back to life after casting its gassy shells out into space, mimicking the possible fate our own Solar System faces in a few billion years. Hydrothermal fractures around Martian impact craters may have been a habitable environment for microbial life. 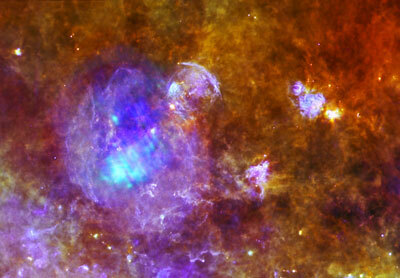 The aftershock of a stellar explosion rippling through space is captured in this new view of supernova remnant W44, which combines far-infrared and X-ray data from ESA's Herschel and XMM-Newton space observatories. Astronomers using ESO's Very Large Telescope and the Canada-France-Hawaii Telescope have identified a body that is very probably a planet wandering through space without a parent star. This is the most exciting free-floating planet candidate so far and the closest such object to the Solar System at a distance of about 100 light-years.